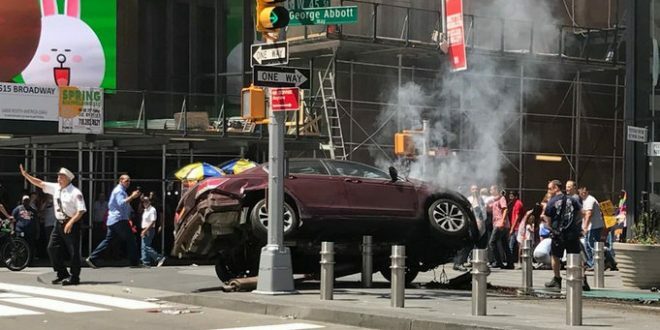 BREAKING: Speeding Car Plows Into Times Square Pedestrians, Multiple Injuries, At Least One Death - Joe.My.God. A speeding vehicle struck pedestrians on a sidewalk in New York City’s Times Square on Thursday, according to an announcement at nearby Reuters news agency headquarters. The New York Police Department closed off the area. A Reuters witness said at least one person was killed and at least 10 people were being treated for injuries on the ground after the collision at the Midtown Manhattan tourist site.